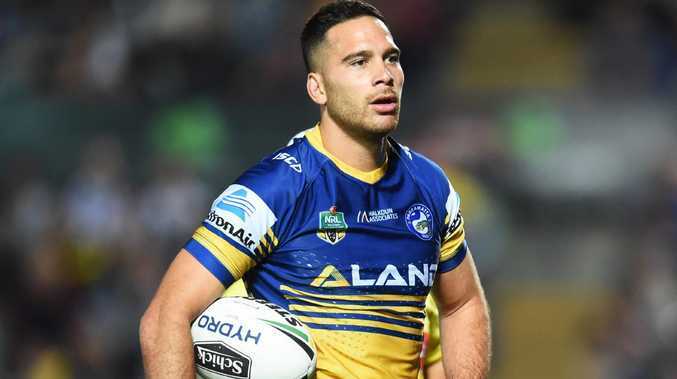 THE Corey Norman contract saga is over with St George Illawarra to announce his signing on a three year deal today. The Daily Telegraph revealed talks between Norman and the Dragons had stalled because of the player's reluctance to accept a reduced payout from his former club Parramatta. Norman had been seeking an additional $20,000 but that is no longer the case with the emerging Queensland Origin squad member to be unveiled as a Dragon as early as today. Norman bid farewell to his Parramatta teammates last week and did not join the Eels at pre-season training on Monday. He was on a rich deal at the Eels with his 2019 wage worth about $900,000. He will join St George Illawarra for $500,000 with the Eels tipping in $250,000 next year before the Dragons pay about $1.6 million in the following two seasons. After starring for Parramatta last year, Norman had an unhappy 2018 which saw the Eels finish with the wooden spoon. He is expected to be given first crack at five-eighth to partner former Brisbane teammate Ben Hunt in the halves. The new-look halves combination will see St George Illawarra skipper Gareth Widdop switch to fullback. The Dragons had come close to signing Norman's ex-Eels teammate Jarryd Hayne before the club walked away from negotiations. St George Illawarra had been on the lookout for an outside back having lost Jason Nightingale, Nene Macdonald and Kurt Mann.